Objects for "Campus Bikes Company"
Three possible use cases in this system include: Create Work Order, Update Schedule and Prepare Invoice. 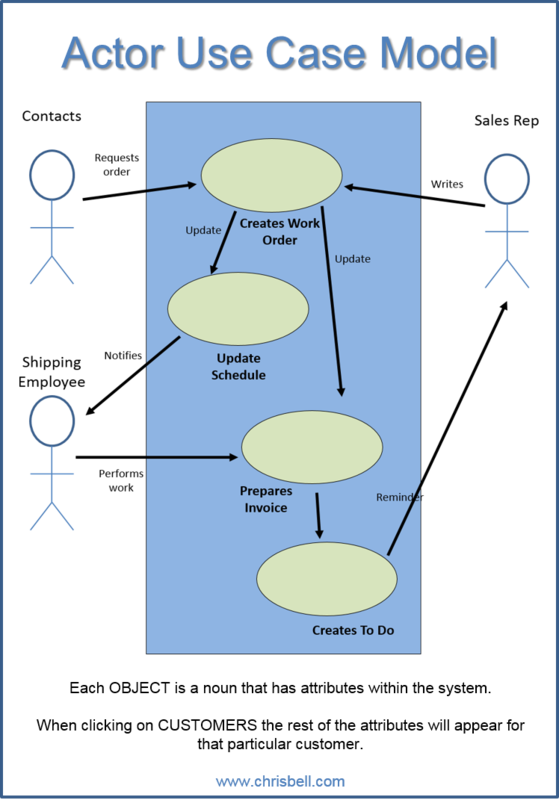 Those use cases handle the flow of a new order entered into the system. Once the order is entered, it sends a request to the mechanic to complete the order. After the order is complete the invoice is prepared and sent to the customer. 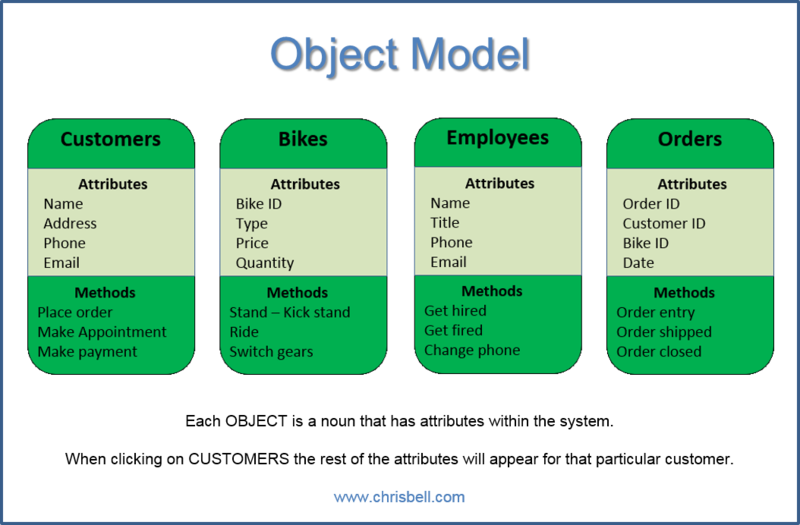 The use case diagram gives a clear picture of what the system will try to accomplish while working with the employees. Once each part of the process is completed the system signals the next part on its own. For instance, when a sales rep enters an order for a bike that needs to be fixed, the system opens a new work order for the mechanic. Also, when the mechanic completes the order, the system will automatically create the invoice and send it to the customer. Everything inside the blue box below mentions what the system will handle. Everything outside of the box is what the employees have to handle. If the mechanic forgets to tell the system that he or she finished working on a bike, then the system doesn't know to create the invoice. However, if management runs a report for open orders they will see that there's an order past due. Then they will have to tell the mechanic to complete the order in the system. 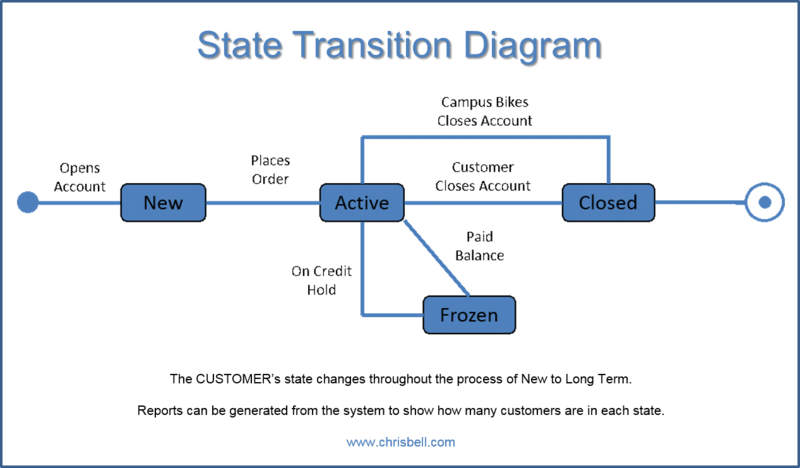 The state transition diagram shows the current status of a customer within the system. 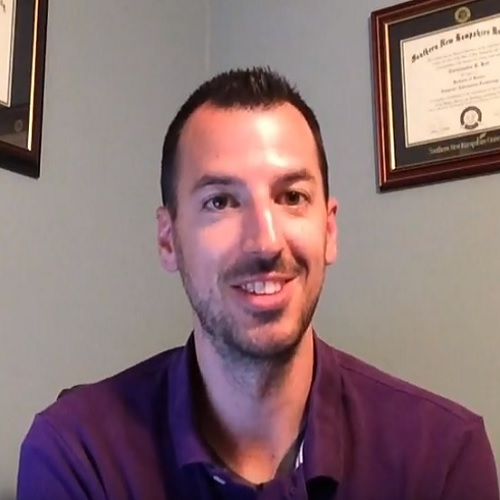 A customer could be new, active, frozen and closed and there are a few variations of how each state can be obtained. Additional rules can be set based on the status of a customer such as: New customers receive 10% off during the first month, or when a customer closes an account send an email survey asking questions about why it was closed. So, each customer's state matters to the sales rep because the procedure is different with new customers compared to frozen customers.